As our conversation about the potential of blockchain continues at Food Safety Tech, we sat down with Thomas Burke, food traceability and safety scientist, Global Food Traceability Center (GFTC) at the Institute of Food Technologists, to discuss how ready the seafood industry is in the adoption of blockchain, more specifically as it relates to traceability. Food Safety Tech: What are the current major issues in seafood traceability? Thomas Burke: Some of the challenges are diversity in product, diversity in regulatory compliance, a hyper-globalized supply chain and variable technology adoption. I always like to distinguish seafood traceability from other major food commodities for several different reasons. When thinking about traceability and devising traceability systems, you want to think about use cases. For most food commodities, food safety is usually top of mind; there’s also a regulatory compliance component. Seafood still has food safety as a high priority, but there are also issues with illegal and unreported fishing and fraudulent issues in the supply chain. When you’re thinking about devising a traceability system, you also have to consider different key data elements. For instance, in food safety, while location is important, the location is only really important for tracing back in the event of recalling product. In seafood traceability you’re looking at racing back to ascertain if it was caught in the right place with the right method at the right time. With this as context, you also want to think about the technological challenges and food operations wise such as the diversity of commodities in seafood—there’s diversity in species way more so than in poultry or produce. You also have very different geographic locations, different harvest methods (i.e., farmed, wild); because of the diversity of harvesting practices, there are other considerations to think about. There are some traceability service providers that rely on a constant internet connection, and that’s obviously not possible if you’re fishing on the high seas. You might have equipment for data collections that works really well in the field or in the food manufacturing environment, but it may not work under the harsh conditions of a boat or in aquaculture. So we end up seeing a great diversity of technological adoption. Especially further upstream when thinking about other small-scale fishers and smaller processors—they generally only do traceability for regulatory compliance, because they just don’t have the capital to invest in technologically sophisticated data collection management. And sometimes it’s not necessary for what they’re trying to achieve. So, we still see a lot of paper records, basic spreadsheet data management, and then it gets more complicated as you go down the supply chain. Larger processors and retailers will have more dedicated traceability systems. FST: Where do you see blockchain entering the traceability process and what other technologies should be used in conjunction with blockchain? Thomas Burke will present during the complimentary web seminar, “Supply Chain Traceability: Using Technology to Address Challenges and Compliance” | May 14, 2019 | 1–4 pm ETBurke: One of the things that we’ve found in our work at the Global Food Traceability Center and with the global dialogue on seafood traceability [regarding] blockchain is that there’s a lot of interest and hype around the application itself, which helps draw in solution providers and developers that are interested in applying a new technology to a new use case. Blockchain is a data sharing platform. So the technologies that it’s comparing itself to are FTP (file transfer protocol) and transferring data through an EDI (electronic data interchange). This is a new way of sharing data between supply chain partners that has some unique capabilities, some of which are very advantageous for seafood. When I was talking earlier about how there is variable adoption of technologies (i.e., small harvesters or producers that use paper records or use minimal digital records), blockchain has the advantage that data hosting is shared and decentralized across the notes of the network. What that means is that a small producer doesn’t have to set up a dedicated server infrastructure in order to communicate with their supply chain partners, whereas that’s more of the case with EDI; even with FTP you’ll still have to set up some kind of formal relationship with your servers. What’s nice about blockchain is that in order to host information on that network, you just pay a small amount of the currency that the blockchain runs on. It’s a little bit different if you have a private or consortium blockchain, but the idea is with the open blockchain applications is that you only pay on a per transaction basis (data upload basis). The larger the network is, the cheaper that is to do. So over the month, it’s a lower cost for participants for hosting the shared ledger of updates. There are also some other advantages: It’s immutable; once it’s on the blockchain it’s very difficult to corrupt that data. There are other components to the problem of data collection and the transportation of data, along with the product along the supply chain. You still need certain legs of that stool such as a global identifier that identifies the product as it goes through the supply chain and gets incorporated into other products; you also need to collect the related data that’s necessary to make your use case. There’s a balance between the data collection and the identification [i.e., fishermen might not want to reveal their best location]. Those all need to be part of the picture, in addition to novel data-sharing platforms such as blockchain. A big part of what GFTC is trying to do in the seafood space is gather industry and work with them to develop standards and best practices to ensure the same data is being collected at each point and that data is able to be transported with the product in an interoperable way that takes into account the diversity of technological adoption along the supply chain. FST: What level of blockchain adoption do you see in the seafood industry? How prepared is the industry, including retailers? Burke: As far as adoption: It depends. 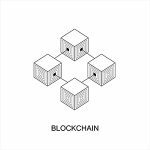 There are a few different aspects that depend on whether companies will invest in a blockchain solution or not. It depends on what their current adoption is and their market. Where we’re seeing a lot of interest in blockchain being used as a component of data sharing for traceability is in more niche products that have more straightforward supply chains, and they’re using traceability as a market differentiator for their product. Right now, in order to invest in blockchain, you need to devote a significant amount of staff time or invest in a service provider to devise the blockchain scheme that you’re going for. 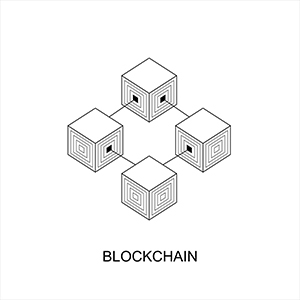 There are a lot of unanswered questions about the implementation of blockchain. There are major players using blockchain in other types of food supply chains, but those are generally very vertically integrated companies that have a lot of resources—both IT resources and monetary resources to devote to this early experimental stage. And that’s where I would see it start first. If there’s success in those more limited trials, then maybe larger multinational companies might have interest in using it as a linkage between some of the information systems. The biggest challenge with large multinational seafood companies is they have a lot of subsidiaries. And when they have subsidiaries, they might use different ERP systems; they’re looking at ways to transport the data into those disparate systems. And with seafood, as with most food commodities, it’s a fairly low margin industry. So most companies are going to be fairly conservative in investing in a new technology until it’s really being seen as a proven and achievably implementable software solution. Larger companies are still seeing more traditional cloud hosting such as EDI as a viable option for data sharing in food traceability. But blockchain is being seen in those niche areas and as the technology becomes more proven, we’ll probably see greater adoption. There’s just still a lot of skepticism in the industry, and that’s with any new technology. I will say with other technologies in seafood traceability, I am seeing quite a bit of promise in AI [artificial intelligence] data analytics and image processing technologies just because it’s very difficult to identify products, especially early up in the supply chain. Some of these new technologies in data processing are going to help streamline data collection and be able to process it into those key data elements that you’re looking for to achieve those traceability use cases. There’s been so much development of facial recognition technology in humans that similar algorithms could be used in labeling fish. Those are some of the other promising technologies. There are some [uses of] IoT devices and RFID but those still remain to be seen—they have implementation issues, because there are quite a few environmental interferences on water or in humidity-rich environments, especially when you’re thinking about radio frequency resistance/interference. In seafood right now, most of the blockchain-oriented applications are in line with NGOs that are experimenting with the use of blockchain as a traceability tool—and those tend to be high-end products like tuna or crab using blockchain in limited use cases. It’s still very much in the piloting and early implementation. Thomas Burke will be presenting, “Blockchain won’t solve the food traceability challenge… but Interoperability and Data Standards will” at the 2019 Food Safety Supply Chain Conference | May 29 –30 FST: What are the top three advantages to using blockchain for seafood traceability? Burke: 1. Immutability. Once you put transactions onto the blockchain, because of the way the architecture is set up, it’s really difficult to alter that record. Other data sharing platforms don’t have the advantage of a singular record. 2. Decentralization. Everyone has access to the same leger that can be shared in real time across a global supply chain. Most of the other data sharing platforms are emphasized in one-to-one communication, whereas blockchain is many-to-many. 3. Flexibility and interest from the development community. There’s a lot of creativity associated with blockchain applications right now. There are a lot of developers coming up with interesting ideas of how to maximize the architecture to work for food traceability applications. Because it has an economic structure where you are using tokens that are powering the data processing, you can potentially do interesting things with incentivizing inputting data into a traceability system and monetizing it. We’re exploring that in the global dialogue—looking to see how you can tie the value of traceability data upstream, because that will help incentivize the entire ecosystem. There have been limited trials with startups that have been looking at incentivizing data collection through blockchain. FST: Where do you see blockchain headed in five years? Burke: I don’t see the actual architectural idea of blockchain idea going away. It’s a fairly brilliant way of ensuring that valuable data isn’t double counted or deleted. It helps reduce some risk. The next five years will depend on what the end retailers end up adopting. In western markets, more specifically North America, the retailers have a lot of leverage in what standards and best practices are kept and carried through. So it will depend a lot on those large end retailers and how comfortable they are in adopting blockchain, and the decisions that they make behind blockchain providers. The largest seafood markets are China and Japan, so [adoption] more depends on what those retailers/customer bases are demanding versus what happens in North America just because the demand is so much stronger there. That will also drive the development of blockchain interfaces and will influence the adoption among smaller scale fishers, which is more of the tendency in East Asia. It’s a very open question. I think it will be influenced by decisions that governments make in East Asia regarding blockchain. I would emphasize that the success of seafood traceability and food traceability in general will be very dependent on standards, and the development of commonly understood and accepted practices, and the way those data standards are collected. So you can have a robust blockchain platform, but if every supply chain partner doesn’t agree to collect the same data and identify it in a similar way that is interoperable, it still won’t work—even if you have the most advanced technology. There’s a human process of agreeing upon the same way that traceability data is gathered. Interoperability and standards are key, in addition to the new technologies.